the uniqueness of the place! St. Michael’s Cave can be reached by car, taxi, cable car or by foot. However, no parking is available. Coach and chauffeured car access only. 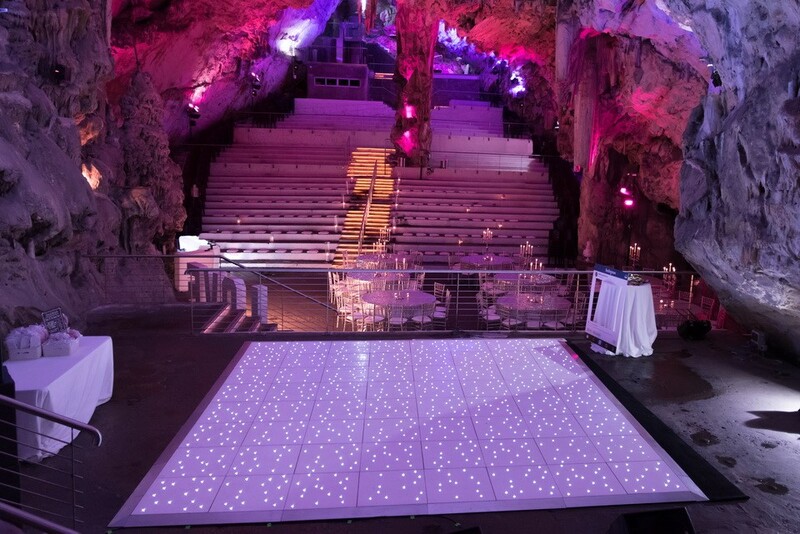 A truly unbelievable wedding venue in the heart of the Upper Rock Nature Reserve made up of limestone grotto’s more than three hundred metres above the sea level. It can be beautifully decorated and lit up to match your wedding theme. It can seat more than 100 people so it is a great choice for larger weddings. Please click here to contact our Gibraltar Wedding Planner Mediterranean Weddings to discuss weddings at St Michael’s Cave..